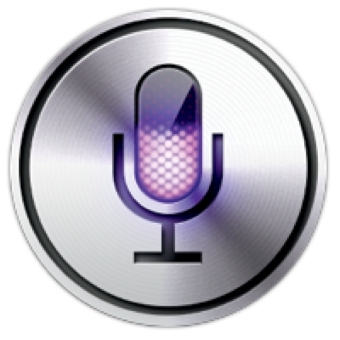 Siri wasn’t always the perfect match with your iPhone 4S/iPhone 5, because Siri almost a Droid’s best friend. That’s because Siri was once a standalone App which attracted the attention of Verizon back in 2009 and the plan was to pre-install Siri on every Verizon branded Droid in the world. That is until Apple purchased Siri in 2010 and turned it into the fun-loving assistant we all know and love today. When Apple swooped in to buy Siri, it insisted on making the assistant exclusive to Apple devices, and nixed the Verizon deal. In the process, it narrowly avoided seeing Siri become a selling point for smartphones powered by its biggest rival, Google. By purchasing Siri, Apple not only created a revolutionary selling point of the iDevices, but also prevented Android and Verizon getting their hands on Siri and providing what would inevitably be similar functionality in Android devices. It wasn’t all good news with the purchase of Siri, because Apple had their own plans which meant compromising some of the original functionality Siri had before being purchased in order to correctly utilise Apple’s own services. At its original debut, in 2010, Siri had been able to connect with 42 different web services — from Yelp and StubHub to Rotten Tomatoes and Wolfram Alpha — then return a single answer that integrated the best details culled from those diverse sources. It had been able to buy tickets, reserve a table and summon a taxi, all without a user having to open another app, register for a separate service or place a call. It was already on the verge of “intuiting” a user’s pet peeves and preferences to the point that it would have been able to seamlessly match its suggestions to his or her personality. But it wasn’t until iOS 5 that Siri regained the ability to make restaurant reservations, with country limitations. It is only now being drip fed features that were previously available over 3 years ago due to Apple’s intervention. It can be argued this is a bad thing, it can also be argued Siri would not be what it is today without the marketing of Apple, but we’ll never know. What we do know is Apple saw something in Siri and they were right, and we’ll continue to see features being introduced to make everyone’s favourite personal assistant even better.